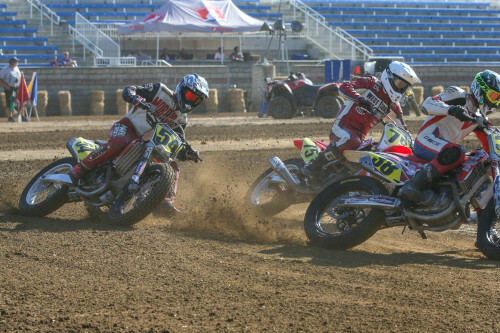 2016 – Made three GNC1 Mains in a row at starting at the Lone Star Half-Mile, followed by the Arizona Mile and the Sacramento Mile. Best finish of 10th at COTA. 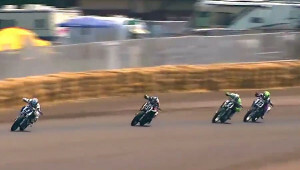 Raced for Kolkman Racing/Kawasaki. 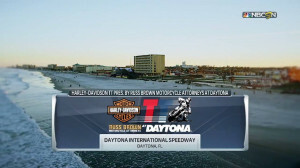 2014 Kolkman reaced the GNC1 main at Daytona and Pomona, finishing 18th and 13th, respectively. 2013 Made four starts in GNC competition. Finished 21st in the overall GNC point standings. 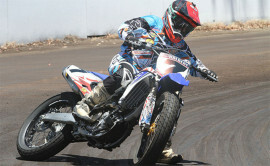 2012 Competed in select rounds of both GNC Expert Singles and Expert classes. Almost broke the top 10 at the Illinois State Fairgrounds and Pomona with two 11th place finishes. 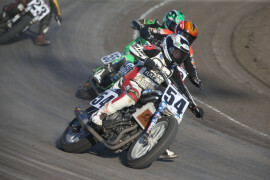 2009 Kolkman ended his first professional AMA year in fifth place overall and a second place finish at the Springfield short track. 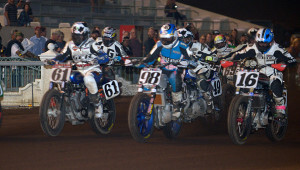 The stars of AMA Pro Flat Track presented by J&P Cycles head out west for the first of four races scheduled to take place in the Golden State in 2013.